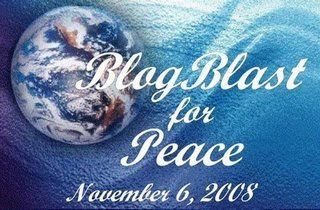 There is a very interesting blog called Mimi Writes that is sponsoring a world-wide effort called Blog Blast for Peace. There doesn't appear to be a direct connection to the Iraq War but to all wars around the planet. Any effort for world peace is worth participating in, so I've joined and I hope you do too. 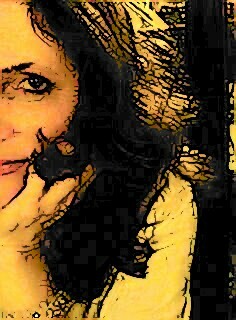 I'm having difficulty figuring out how to add my blog to the list of participants. If you know, please let me know. I am having trouble loading that page... let me see if I can figure it out, it sounds like a great idea!! I guess! I just ran into a load of trouble there myself. What a wonderful post. Thank you very much for drawing attention to the movement. I'm sorry you're having trouble getting on. Thank you, Mimi. I must not have been able to scroll down all the way to Mr. Linky when I visited, due to the problems I was having loading the site. Thanks for this effort. I'm pleased to be able to participate.